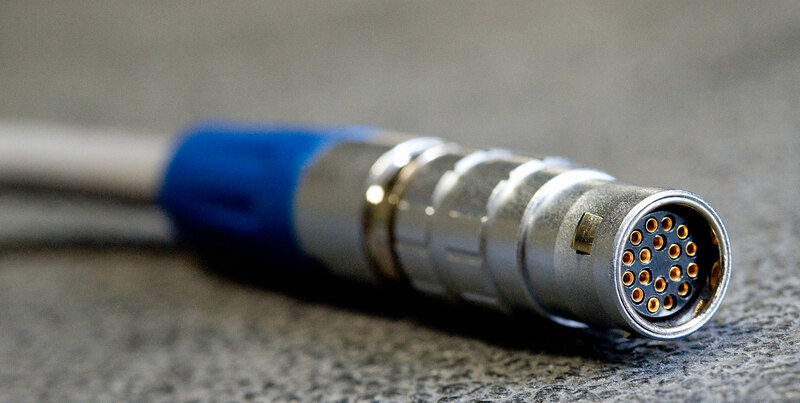 SHINE is ready to custom-manufacture your high density cable assemblies. We use automated tooling, employ a highly-trained workforce, and are committed to quality. Learn more about our custom cable assembly capabilities. What are High Density Cable Assemblies? High density cable assemblies reduce the size and weight of interconnects in devices that require significant electronic content. Outside of the device, they help meet demand on the interconnect system’s circuit. Inside of the device, they help solve cable management issues. These custom cable assemblies have a large number of lines per linear board inch and yield a reliable low insertion / normal force combination. High density cable assemblies for angled connections in applications with limited space. High-density cable assemblies are used in medical applications such as patient monitoring, electronic catheters, and automated external defibrillators (AEDs). They are also used in handheld devices and human-machine interface (HMI) front panels. In addition, these custom cable assemblies can meet backplane-to-backplane and other cable I/O requirements. At SHINE’s manufacturing center in Adams, Massachusetts, skilled personnel use state-of-the-art equipment to produce high density cable assemblies to the highest quality standards. In addition to custom cable assembly services, we provide engineering support such as design assistance and component sourcing. SHINE is an ISO 9001:2015-certified electronic contract manufacturer specializing in custom cable assembly, wire harnessing, and electro-mechanical assembly. Since 1984, we’ve been providing partners with wire and cable products that exceed their expectations. How can we help you? Contact us for more information at our manufacturing center in Adams, Massachusetts.